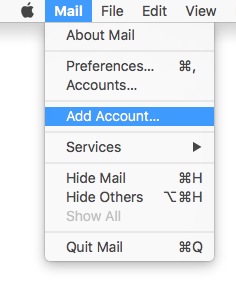 If you already have an email account setup, you will need to select Mail > Add Account... otherwise skip to the next step. 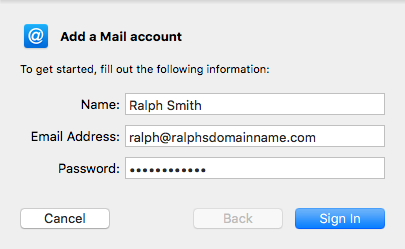 Email Address: Enter the full email address of the mailbox you are setting up. 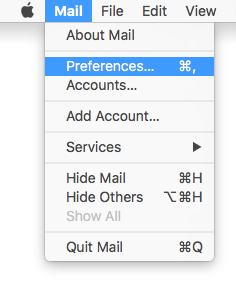 Mail will attempt to automatically connect with these simple settings. This attempt will fail and you will be asked to provide more information. Enter the following server settings. Sending and receiving email are both performed over secure connections. 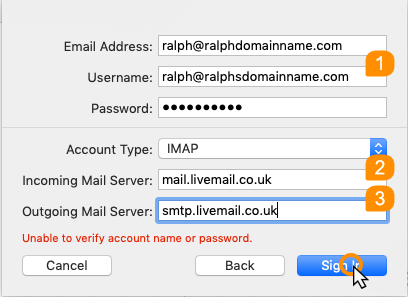 Mail will now error as it is yet unable to connect to the SMTP servers. It will instead revert to an insecure connection. You will reconfigure these settings later in the guide. If you chose IMAP (recommended) you will be asked which apps to synchronise with the server. This is useful for sharing data between devices. 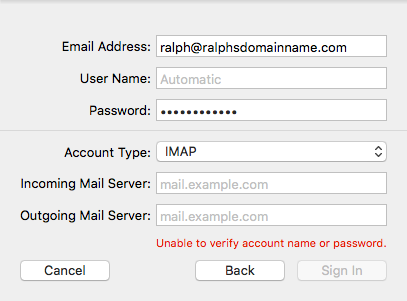 We will now go back and reconfigure the SMTP settings for which we had a warning for in Step 7. 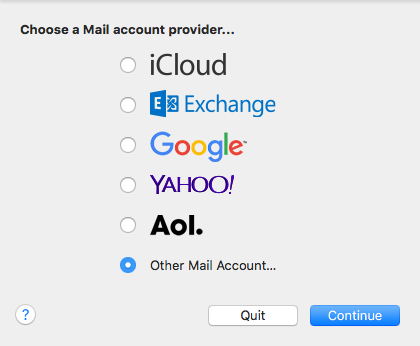 If you have multiple account setup, make sure the correct account is selected and click Server Settings. 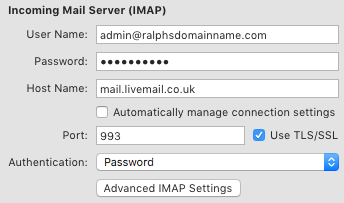 Under Incoming Mail Server (IMAP) untick the Automatically manage connection settings box. You now need to change these settings. Port: Enter 993 for IMAP or 995 for POP. Use TLS/SSL: Tick this box. Authentication: Select Password from the drop down menu. 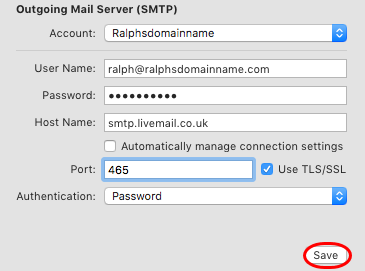 Under Outgoing Mail Server (SMTP) untick the Automatically manage connection settings box. You now need to change these settings.